This has also been one of the worst years for my health. It seemed like I was ALWAYS sick this year. Getting a cold every other month, multiple sinus infections and also bronchitis. In that aspect I’d say I’m disappointed and hoping that 2015 is an improvement. Other than that, it was a pretty good year full of big events and lots of traveling. 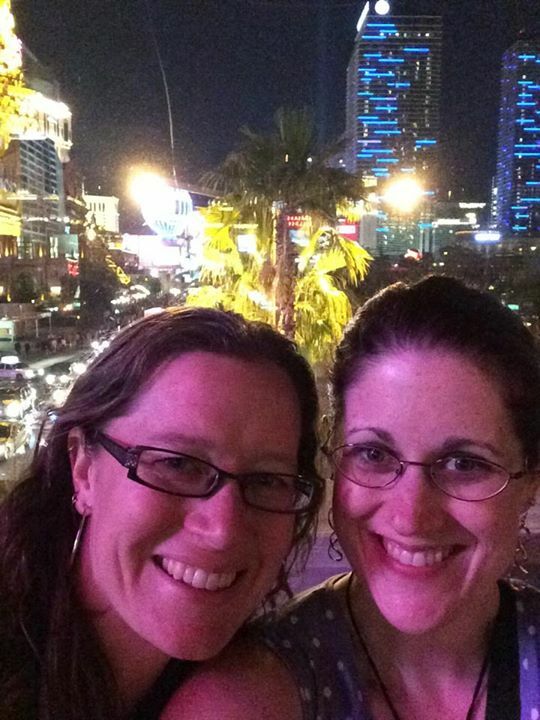 It was a trip that I really needed and I love Vegas so much. The weather was fantastic and lounging poolside with drinks was a dream come true. Vegas is a place I could easily go to every single year. Maybe this is the winter weather speaking here but damn, I need to be back in Vegas poolside SOON. I never get sick of that city. Kayaking the Willamette River had been on my “to do list” for so long and I finally got to do it! It went well and I got more experience kayaking in Hawaii on our honeymoon. I am determined to make 2015 a year of kayaking! Michael is on board with this, too. Canning Salsa had been on my “to do list” for several years, too. Ever since we started planting our own vegetable garden. Well this year I finally CANNED the stuff I grew! And it turned out well. I was surprised at how much fun it was canning stuff. I canned salsa, tomato sauce, raw tomatoes, I even made jalapeno jelly. All of those creations were a hit with people I gave them to as well. Next year will include a lot of new canning adventures. 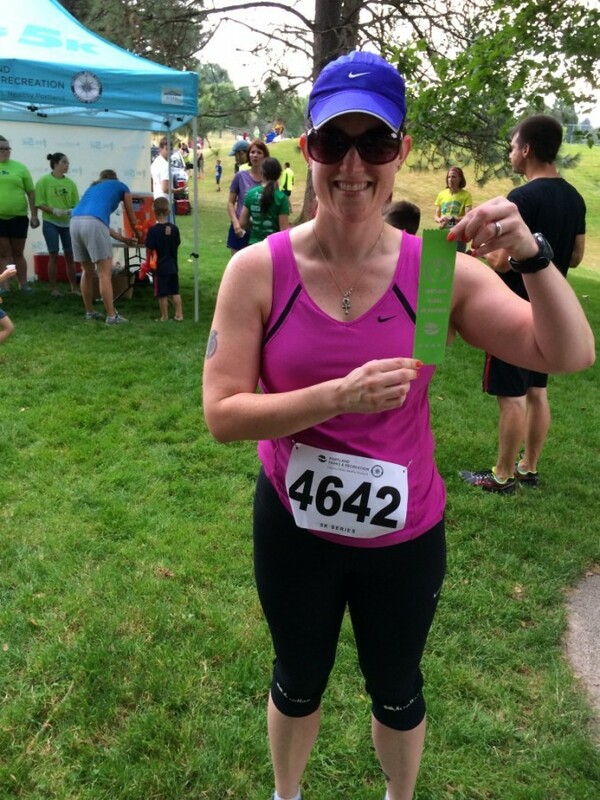 After years of battling various injuries and flare-ups, I was able to run a race again. It took me pretty much all winter/spring to train for it. I know that 5k’s are pretty easy for most people but after being “out of it” for so long and not doing much running on a consistent basis, it was a really happy moment for me to be able to run another race. I did have to take a few walking breaks, but my time wasn’t too bad and I finished it! I felt strong and was able to keep running the rest of the year injury free! Yep! After a year and a half of planning, the wedding was finally here. (You can see the Engagement Pictures if you missed them.) And that of course included the Bachelorette Party! The Bachelorette Party was amazing and just perfect for me. I was really happy my close friends planned such a fantastic day and everyone could participate. Lots of happy memories there. 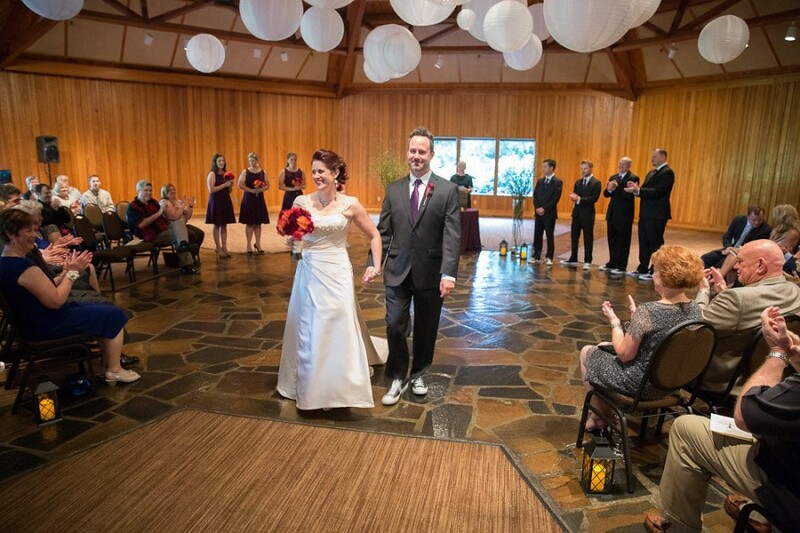 It’s nice because I still love looking at our beautiful wedding pictures and when I hear certain songs on the radio that were played at the ceremony/reception I do get a little teary-eyed. I’m a softy, what can I say. So yeah, I’d say the wedding and honeymoon was the “big deal” for 2014! What can I say about Hawaii? It’s paradise, of course. The weather was hot and sunny but not so humid you felt stinky. The flowers were aromatic and gorgeous. The sound of the ocean waves hitting beach while we enjoyed our breakfast on the lanai every morning is something I missed the second we returned home. We did so many amazing things in Hawaii and one of the happiest memories I have is Michael actually running with me! Like, wow, that’s a huge deal. He is not a runner, has never expressed any desire to start running, but he joined me a few times on the honeymoon for a run along the ocean. How great is that? And of course, swimming and snorkeling in the warm ocean rates pretty high on my list. After spending 9 days on a beach in Hawaii all I want to do is go on tropical vacations. Beach life is necessary! Do more kayaking. I got the kayaking bug! It was so much fun the few times I’ve done it and now all I want to do is do it more. Of course I’m a wuss when it comes to weather so this goal will have to wait until summer time. I’m just not willing to spend hours out in the rain for this! Travel. I have a trip planned to Tucson in the spring for my friend’s wedding. Other than that there are no major trips planned for me yet. Michael and I have been talking about where to go for our wedding anniversary in September. We talked about visiting the East Coast. I’ve always wanted to explore the historical towns and go to museums. We were originally planning a trip to Philly, Boston and New York but I think that might be a little too much–too much money, too much time away from home. We are currently discussing making a mini-trip and going to Philly (to see my brother and his wife) and then exploring Washington DC. The other destination discussed was Mexico and New Orleans. I have to admit, I am leaning more towards sunny, warm places! Stay tuned! What were your 2014 highlights? Any New Year’s Resolutions? 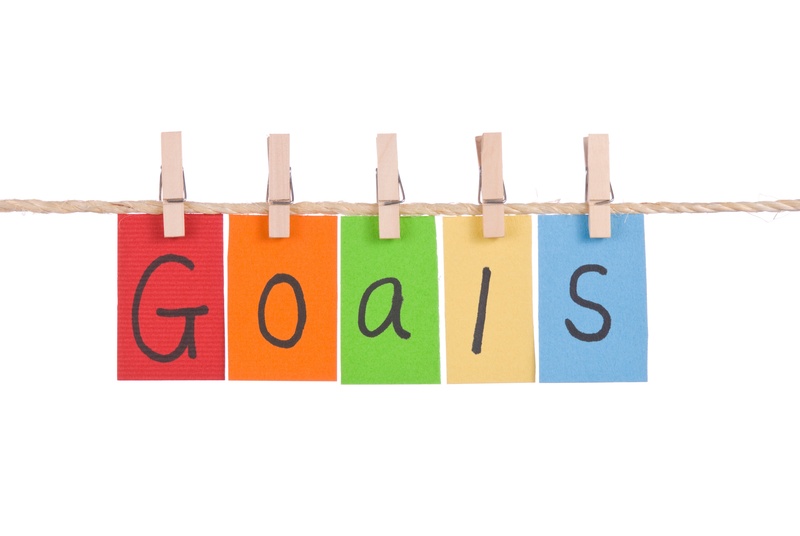 Here is the first post: Goals This Week, and the update: Report Card. I think these goals are basic goals for losing and maintaining weight loss but I needed the reminder and the motivation. I am very goal-oriented. If given a task, I succeed. I need that focus. It helped knowing that I wrote down my intentions and would be reflecting on my efforts afterwards. 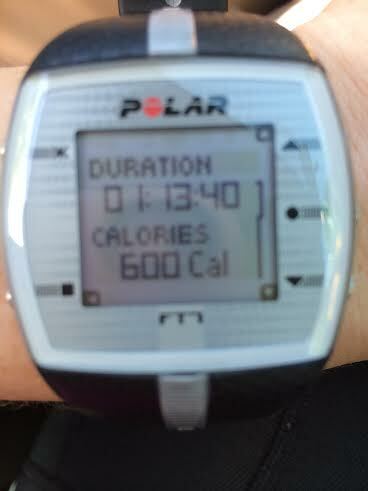 I’ve been trying to be really good at tracking ALL of my calories–even the nibbles and the snacks. I’ve also been trying to limit the liquid calories (for example a few weekends ago I had 1 beer on Saturday night instead of 2 or 3). I also went back to the birth control I was taking before I switched in November. I’d gained about 4 pounds from the new birth control (which fixed my acne but the weight gain sucked) and about 3 pounds from stress/holiday eating. So I was up about 7 pounds this winter. 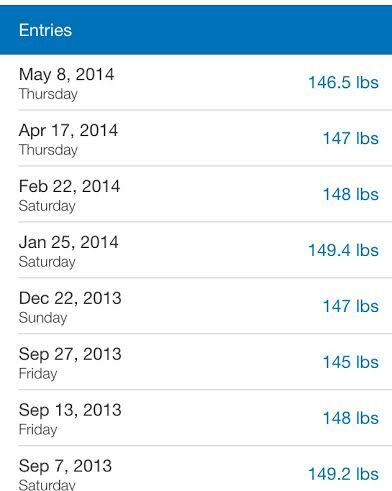 I wanted to lose that weight and get back down to 143/144 like I’ve historically been. 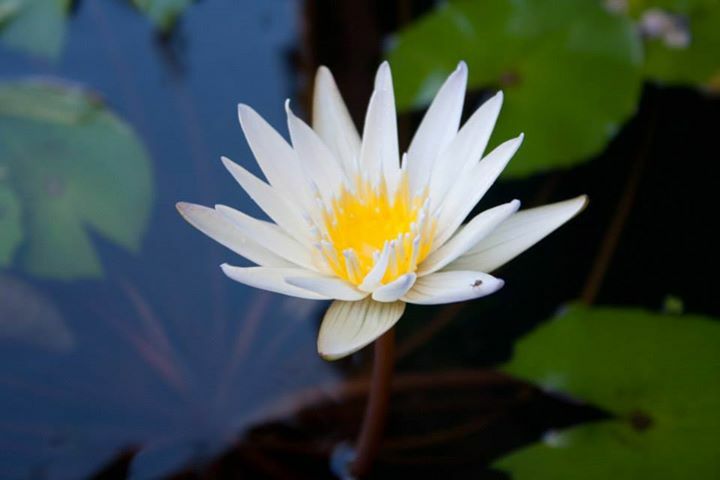 Changing the pill was the right move–I saw the scale move almost immediately. That first month on the old pill I lost a pound. 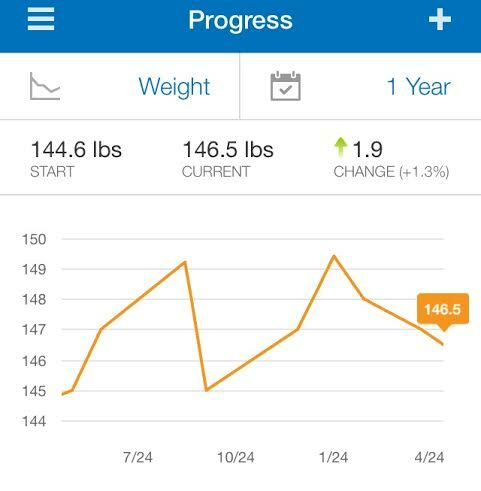 I’m happy that I am finally seeing some movement on the scale! It’s slow going but at this rate, I should be BACK to my normal weight by the wedding. 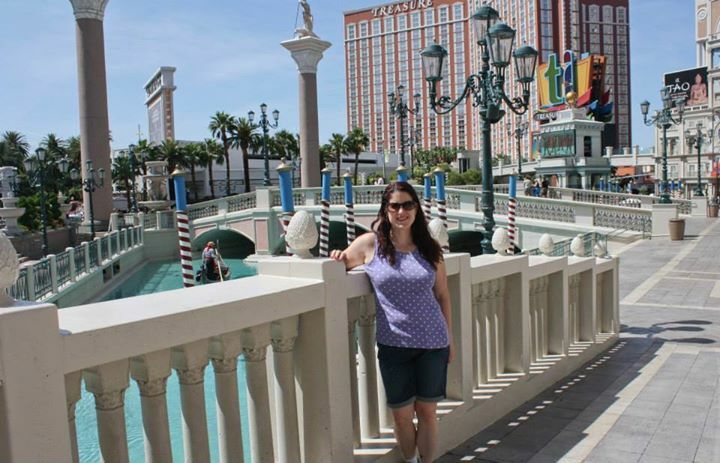 I went to Vegas and didn’t eat great OR consistently. We were too busy to eat at normal times/meals and when we did eat it probably wasn’t the best food. I missed eating vegetables! After Vegas I was determined to get back on track and continue this forward motion. First step: getting back into the gym routine. I went to the gym and did some weight lifting and followed that with more training for the Couch To 5k. It felt good to be back at it! As for the food, I immediately went back to eating what I normally eat at normal times! It felt so good to eat fruit and vegetables again! 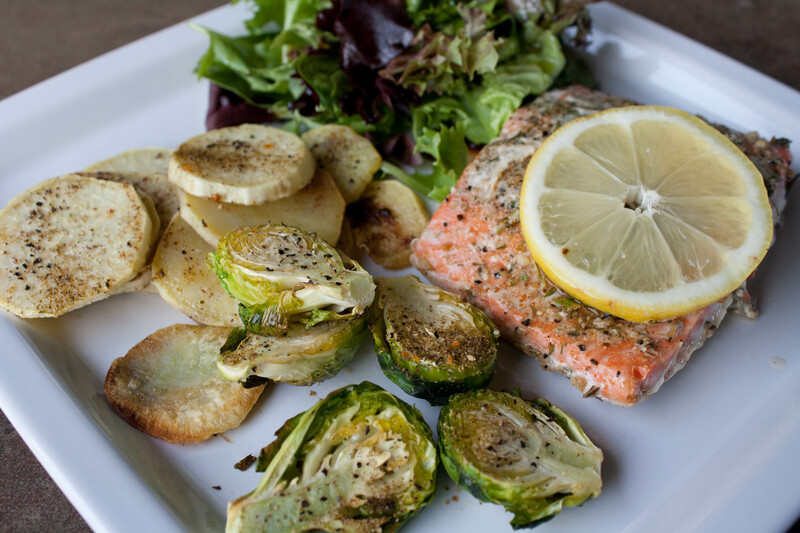 For example, dinner the other night was baked lemon-pepper and dill salmon, baked sweet potato and brussels sprouts and a green salad. It felt good to eat something healthy! The sugar cravings were pretty much gone for awhile because I didn’t eat any dessert or sweet stuff in Vegas. Amazing what a few days off from that will do. I hope I can maintain that. Speaking of sugar, have you read this article? 12 Surprising Foods With More Sugar Than a Krispy Kreme Doughnut–while I shouldn’t be surprised at all, there were a few things on that list that shocked me!